Click the button below to add the Chicks 'n Eggs Easter Egg to your wish list. 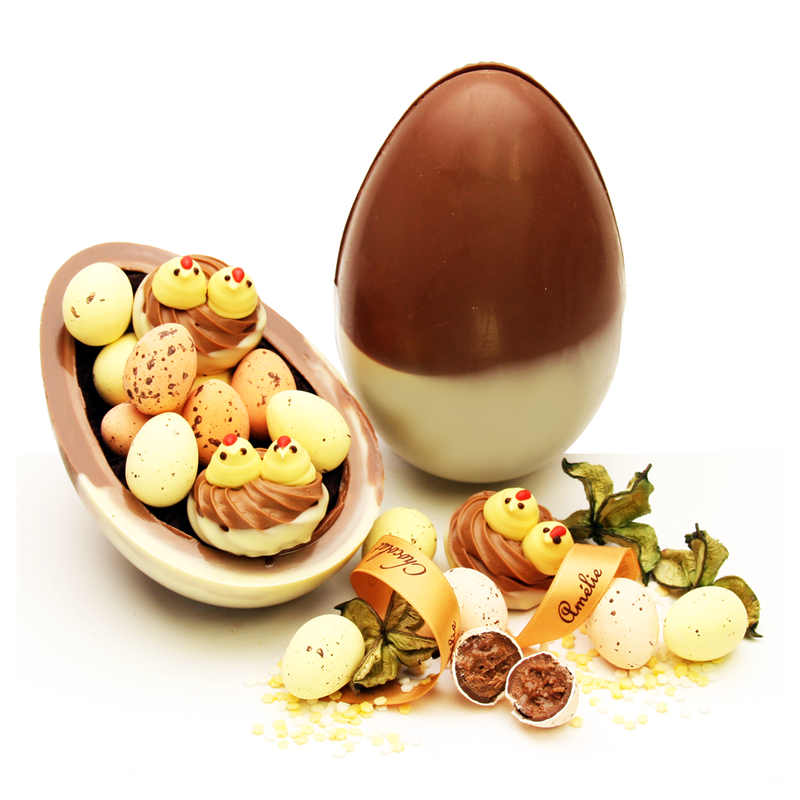 A dainty collection of exquisitely decorated chocolate chicks, together with an assortment of traditional 'gull eggs' makes this irresistable egg a scrumptious addition to your Easter celebrations. Almost too cute to eat pairs of yummy chocolate chicks on meltingly delicious chunky praline nests, sit sweetly inbetween pretty pastel speckled eggs, filled with smooth creamy hazelnut praline centres and encased in paper thin crunchy shells.